Although many of the events carry a hefty pricetag — the popular Desert Stanzas evening of poetry is 349 dirhams — there is also a “fringe” of free events and competitions that are open to the public. The organization itself, which hosts the annual festival at the InterContinental in Dubai Festival City and also runs other literary events, is a not-for-profit. “Last year, by royal decree” the LitFest “became part of the newly-established Emirates Literature Foundation,” said the fest’s director of communications, Carmel Rosato. 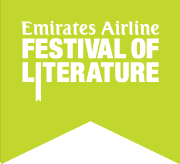 The Dubai-based Emirates LitFest tends to host fewer Arabic-writing authors than the Abu Dhabi or Sharjah international book fairs — and more popular authors — although this year the festival will host a few noted Arab authors: Palestinian-Jordanian author Ibrahim Nasrallah, longlisted for this year’s International Prize for Arabic Fiction, will be there; so will and Iraqi novelist Alia Mamdouh, longlisted for the Sheikh Zayed Book Award; former IPAF winners Mohammed Achaari (of Morocco) and Saud al-Sanousi (Kuwait) will also speak at events. Achaari will also give a two-day creative-writing workshop. This year, among other new things the festival is trying, they will host a “Literary Idol” competition, which has been previously staged at festivals in Ireland and the US. Modeled after “Pop Idol,” English-language authors will have their submissions read aloud and critiqued by a panel of judges: Judy Finnigan, Sarah Odedina, Francesca Main. Submissions are still being accepted, Rosato said, until a few days before the fest.